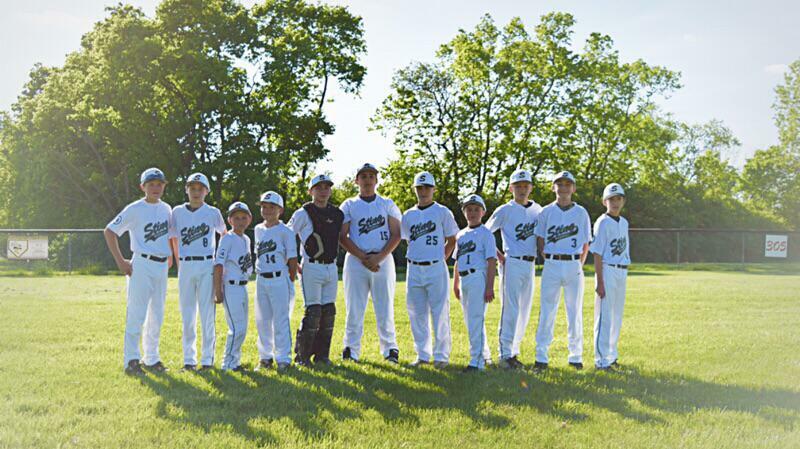 Proud "Silver Level" Sponsor of the 2015 Dayton Sting 11U Baseball Team. Proud "Silver Level" sponsor of the 2016 Dayton Sting 12U Black Baseball team. Beavercreek Rental was founded in 1976, by Robert Kosins. A math teacher by trade, Robert decided to go into business for himself by creating a full service rental yard. He believed in creating a store that was based on two core principles, excellent customer service, and reliable rental equipment. So, in 1976 Robert Kosins opened Beavercreek Rental in the Richfield shopping plaza. From its humble beginnings, Beavercreek Rental was built by its hardworking staff and well maintained equipment. As the years progressed, Beavercreek Rental began to grow in terms of fleet size as well as their reputation as a leader in the Dayton area for customer service. Fast forward 37 years and Beavercreek Rental is now one of the largest family owned and operated rental yards in the greater Dayton area. In our current location on Industrial Ln, we have grown into the company that you see today. Our fleet now ranges from hand held electrical tools, to ten thousand pound extend a-boom forklifts, and seventy foot aerial work platforms. We still pride ourselves in having the best customer service, and a vast well-maintained fleet that encompasses a variety of applications. As a family-owned business, we have a vested interest in maintaining our solid reputation with great pride and responsibility. That's why we're committed to providing hard-working, customer-oriented employees, durable equipment and competitive pricing. With a convenient location, timely delivery, and on-site part service, Beavercreek Rental will provide the tools you need to get the job done. Place your trust in us, and we will show you how we treat our customers like family. Prime Rib Burger Recipes. Local Craft Beer. Proud sponsor of the 2016 Dayton Sting 12U Black Team. Take it to them in Cooperstown Boys! In 1932 when Albert "Cap" and Opal Stubbs entered the funeral service profession, they promised their families that they would provide the best in funeral service for the Waynesville area. Over the course of the past seventy years, our goal remains the same: to provide more than is expected to all who walk through our door. We are committed to arranging a service that is most befitting to your loved one, and we strive to celebrate their life in the most meaningful way. Proud "Gold Level" Sponsor of the 2016 Sting 12U Black team. Thomas & Grushon Insurance Agency has been doing business in Bellbrook, Ohio since 1960. We are proud to provide insurance and financial solutions to more than 2800 individuals and businesses in our area. We are committed to building a solid relationship with customers through practical solutions and excellent service. We have been a member of the Professional Insurance Agents of Ohio since 1975. Our agency is also a member of the Bellbrook-Sugar Creek Chamber of Commerce and the Xenia Chamber of Commerce. The agents at Thomas & Grushon Insurance Agency are dedicated to providing you protection for your chosen lifestyle. We are independent agents who work with a variety of companies. We will try to match your needs to the company, coverages and policy features that will best serve you. We are committed to being responsible citizens and abiding by ethical business practices. A proud "Silver Level" sponsor of the 2016 Dayton Sting 12U Black Team.